A new pet vendor was discovered in panda-land! The vendor's name is Bubblemaker Ashji, and in the screenshot you can see fishes in bubbles and a water-strider hanging about the vendor, so hopefully this NPC has more water-type companions for sale. For a bigger preview of some of the skills and abilities found in the Pet Journal so far, check out Evilgnomey's thread on WarcraftPets Forums. During last year's Feast of Winter Veil, Lumpy dropped for my non-collector hunter rather than my collecting toon. I never learned that pet, and I still had the item sitting in my bags. Because account wide collections were still unconfirmed at the time, I held off using it in hopes that Blizzard would either guarantee the new feature or make pets Bind on Account. Well, now that account wide collections seems like it's here to stay, I decided to test it out. I copied my hunter alt onto the beta and learned Lumpy. It was added into her personal collection as well as the Pet Journal. I'm not sure if the spellbook companion tab will continue to exist once the Pet Journal is fully implemented, as it seems a bit redundant to me. Then again, it does serve as a useful tracking tool if you plan on keeping track of separate collections on different toons. We'll see what Blizzard decides to do. Keeping both the new Pet Journal and companion tab in game does present a new issue though, which collection should you refer to as your "main" collection? The one exclusive to each character? Or the Pet Journal that acts like a stable for all your pets from every toon that you have? It's hard to say, and I guess it will be up to the individual to decide. Anyway, I can finally breathe a little easier now that I know I'll be able to use Lumpy on my alt and then summon it on my main. I just have to remember that this is the beta still, so things could change. Hopefully for the better and not for the worst! Quality Over Quantity In MoP? The preview of the Pet Journal on the beta and account wide collections being tested got me thinking: how will these things impact the pet collecting community? There's no doubt that both features will make it somewhat easier on collectors individually, but what about the community as a whole? At first glace these new features seem as though they will help take some strain off pet collectors (especially newer players). And in terms of newer collectors vs. more seasoned collectors, I think the journal, wild pets, and account wide collections will help bring everyone closer together and remove/prevent some of the elitism in pet collecting. UPDATE: For a FULL LIST (it's huge!) of all the pets listed in the Pet Journal, check out this post here. Remember it's the beta, things could change, not all pets will make the cut, etc. I feel like I'm having a companion pet overdose! The Pet Journal is on the beta, and account wide pets is also available for testing too. 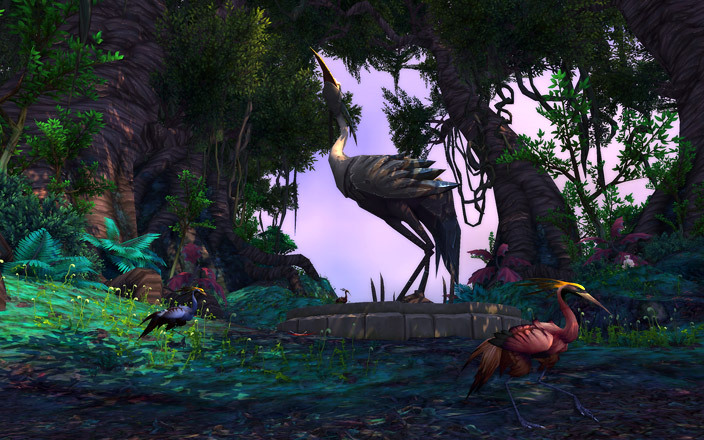 PLUS the Kalimdor wild pets have been implemented in many of the zones (not all yet). I plan on getting some video of the Pet Journal since there's quite a lot to take in. Don't think a few screenshots will do it justice! - It lists all of your currently owned pets plus all the pets you do not have (greyed out). - Wild pets are listed and you can preview their models. There's a button for "Info" on the wild pets, but so far it doesn't do anything. - You can add three pets to your battle team, and it will show what abilities each of the pets have as well as their level. - There's a filter to help sort your pets by class/category and collected/not collected/favorites. - There's a summon random pet button, but it currently doesn't work. Here's a video preview of the Pet Journal! Best viewed in HD and with annotations (chat bubbles) turned on. Things are still being worked on, and the Pet Journal isn't entirely functional yet. So keep in mind that many things could change as more beta testing occurs. Also remember that there's a chance that some companions listed will not make it into the MoP release. Beta Update: O. M. G.
*Insert delighted squee here* Southern Barrens! Unfortunately, it looks like the gazelles and zebras are still out of reach as I haven't been able to find any that are tagged as Wild Battle Pets. Edit: Spoke too soon! Gazelles in Mulgore! And apparently gazelles and gazelle fawns are two separate types of critter. Cuuuu~ute. 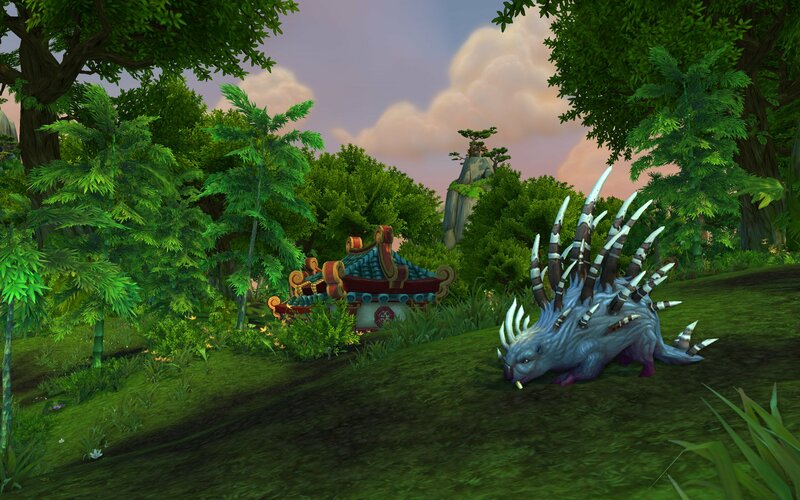 For more new wild pets, check out the Kalimdor thread on WarcraftPets! Both are Bind On Pick Up and are of "rare" quality. No clue how we'll obtain these pets, but they almost sound like Jewelcrafting companions since they both have gemstones in their names. Everyone's best guess is as good as mine! For a full list of the pets that have been datamined from the beta so far, check out the unlisted pets page on WarcraftPets! 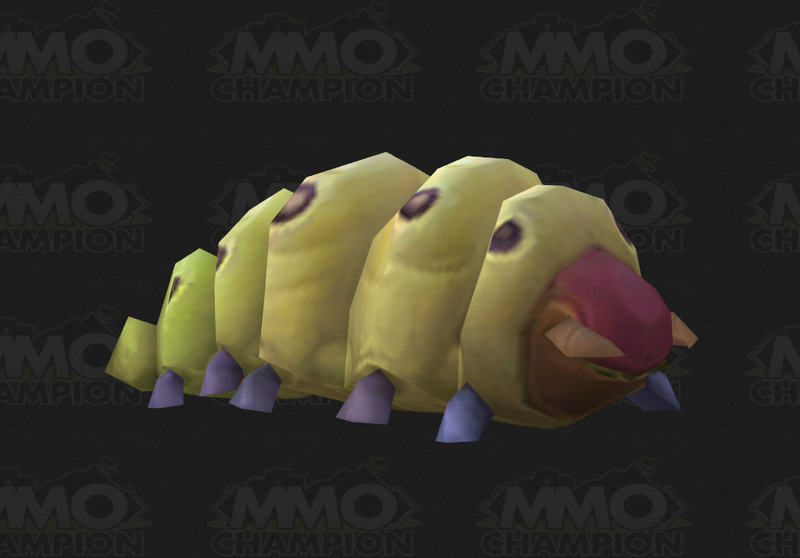 Wowhead's done some digging and they found 5 new possible pets! These are so new, not even their public MoP database or even MMO-Champion's MoP database has them listed yet. So far it looks like there are only spells for these pets at the moment. We'll have to wait and see if actual item IDs will be added for each of them. Remember though, even some pets that have both a spell and item ID still don't make it into the release. Wowhead also followed WarcraftPets lead and sorted out all the currently known Wild Battle Pets. Speaking of wild pets, Wowhead has sorted and listed the datamined pet abilities and classes for Pet Battles. It'll be interesting to see what other possible pet abilities the developers implement, but this is already a large selection! There's a giant list of datamined companion abilities on the WarcraftPets forums. I'm sure there will be many more to come, but here's just as taste of the types of spells and abilities you'll encounter when pet battling! I'm wondering if all of them relate to Pet Battles, though. 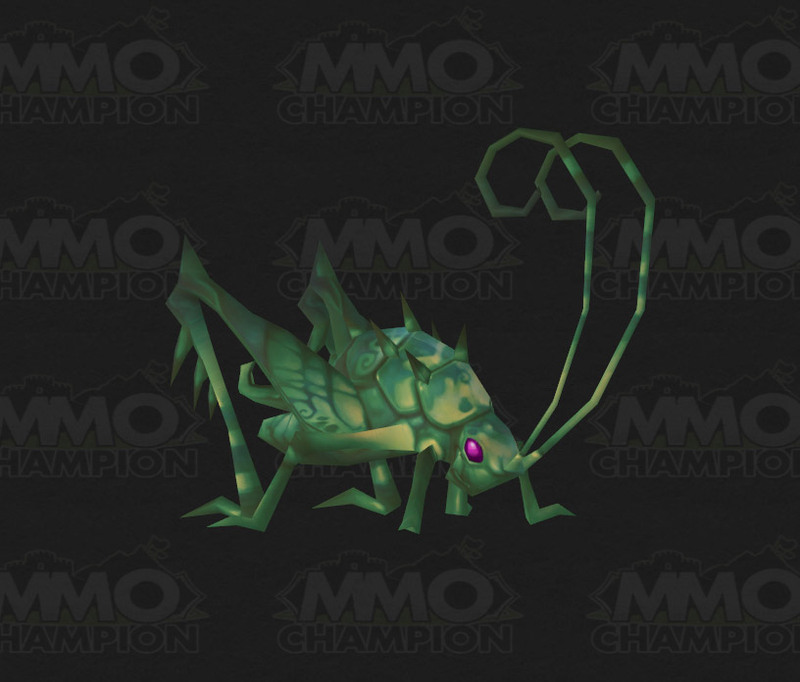 Some of them are obviously linked to certain companions, but others seem more like new hunter pet skills than a minipet ability. We'll see, I guess! Sure enough, there's a new tracking feature for "Wild Battle Pets" that's available on your mini-map. If you can't tell from the screenshot, it's an orange bunny icon. In the case of the screenshot above, I was standing next to the new Black Sheep critter in Elwynn Forest. This critter also happens to have the new crosshair cursor, so it's looking more and more like the new cursor icon is indeed related to Pet Battles and wild pet collecting! How exciting! So now I'm making it my mission to scan over all zones in the beta to see if there are more possible wild pets that are in the works. The lovely people over at Petopia's thread have already found a couple new critters: Polly and the Tiny Bog Beast. Although a lot of the critters are showing up as Wild Battle Pets, we still don't know if we'll be able to collect these wild babies or not. They may simply be critters that our current companions can battle against to gain levels from. We'll have to wait for Blizzard to fully implement Pet Battles and wild pets to find out more. UPDATE #2: Doobjanka has created a large list of all the critters that he's discovered on the Eastern Kingdoms continent so far. Kalmidor currently doesn't have any of its critters flagged as a Wild Battle Pet yet. The Darkmoon Faire returns next week, and although I'm done collecting the pets from the faire on live servers, I'm eager to find out if there's anything new at the faire on the beta. Will we get a preview of the Darkmoon Rabbit and the mob that corresponds with it? My biggest question is how will we be able to get a hold of the pet version! Tickets? World raid boss drop? Quest reward? An "unlocked" vendor/reward? Will it even be available to players on live servers? There have been a few cases in the past where datamined pets in the beta just never make it into the expansion release. Well, hopefully we'll find out next week. It's still very early in the open beta though so even if the Darkmoon Rabbit doesn't make its appearance any time in the near future, hopefully we'll have another chance to preview it next month. UPDATE: So far only some of the Elwynn and Dun Morogh critters have the crosshair cursor. I haven't found any others in other zones with the same changes yet. Upon request from Rhapture to check out the Snow Cub on the beta, I also decided to get some video of the (new?) crosshair cursor when hovering over a few (not all) critters. Like the video description says, left and right clicking only yields an error message atm (regardless if I have a vanity pet out or not). I can still attack and kill these critters, but upon agro'ing them the crosshair icon turns back into the standard sword icon. Side note: The Snow Cub is a common critter wandering all over Dun Morogh on the beta. Vanity pets on the beta currently have a pet bar identical to a hunter pet bar. It has the same abilities for "attack", "follow", etc. Using the attack function doesn't do anything at the moment and only yields an error, but you can tell your companion to move to a certain location! Certain critters have a new cursor icon as you hover over them. I can't seem to get a screenshot of the cursor, but it looks like a crosshair type icon and replaces the sword cursor icon as long as you're not in combat with the critter. Going into combat with the critter will turn your cursor into the standard attack icon. So far left and right clicking on these critters with the new crosshair hover icon does nothing and yields a "You do not have permission to perform that function" error. I'm guessing once Pet Battles is fully functional this crosshair will indicate which critters your pet can battle with to either collect it or simply level up from. We'll see! Currently persisting pets doesn't work on the beta. 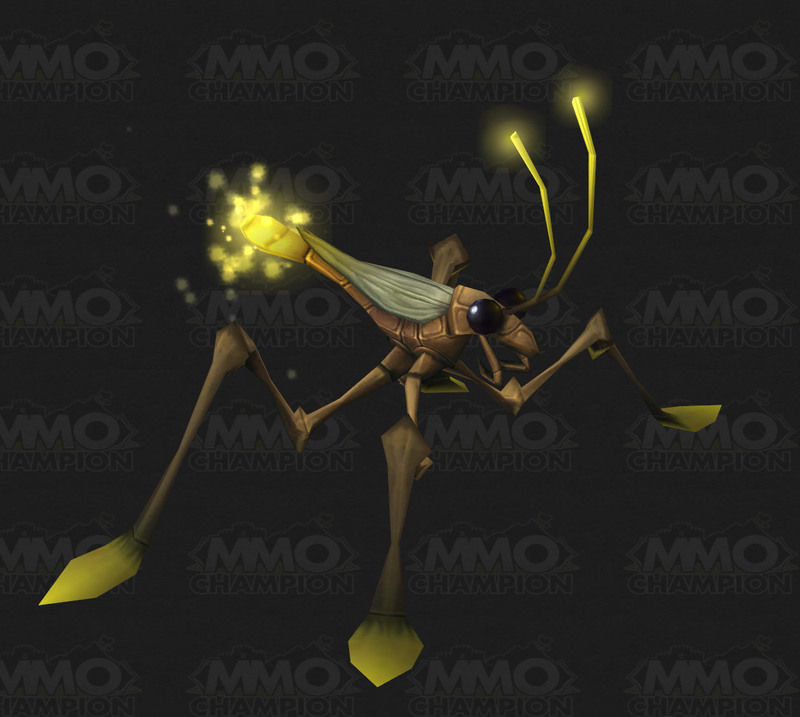 Using a ground mount or staying grounded while mounted doesn't despawn most vanity pets, however flying away will (of course this doesn't apply to companions that can fly alongside you). Unmounting doesn't seem to auto-summon anymore. This could just be a bug or the function might have been removed. Again, it's still early on so we'll see. UPDATE: Currently the achievement to kill the Darkmoon Rabbit doesn't have any rewards tied to it, so how the pet is obtained is still a mystery! We might have to wait until the first week of next month to get a preview of the MoP Darkmoon Faire. 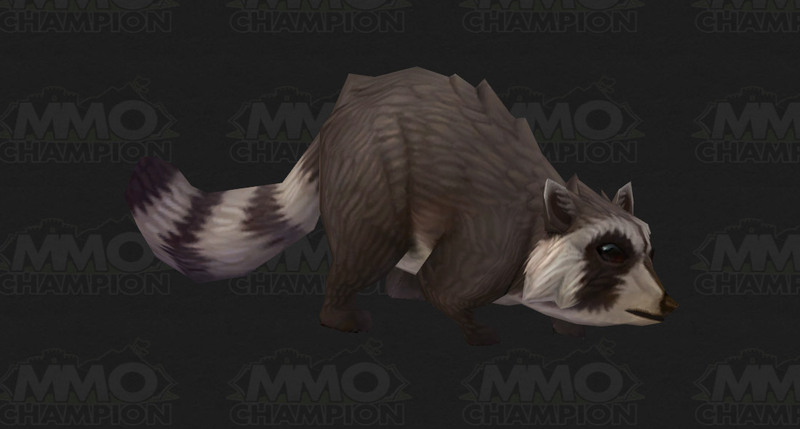 MMO-Champion did some datamining and our first NEW vanity pet in MoP is the Darkmoon Rabbit! It's not only new, it's of EPIC quality and so far it's Bind on Use. How this pet's obtained is unknown so far, but there's an achievement that requires players to "Slay the ferocious Darkmoon Rabbit." (That Rabbit's Dynamite!) I'm not entirely sure if it's related, but it might be considering the Darkmoon Rabbit (whatever it may be) is involved. Anyway, I haven't done much in the beta yet except log in and set up my UI to my liking. The vanity pet tab hasn't changed much from what I've seen and I haven't found the Pet Battles trainer or any wild pets (yet). I'm going to head back in shortly and hopefully get some awesome screenshots and possibly video of some cool new pet stuff... if I can find it! Wow. When they said "very soon" they really meant VERY soon didn't they? LOL! MoP Beta tonight?! If all goes well... maybe? Color me anxious, nervous, and excited all at once. This time around I'm going to try to take more video and screenshots, but I expect it to be pretty laggy and buggy initially. Be sure to keep your eye on WarcraftPets for all the latest beta updates! Here's hoping for the best, and preparing for the worst! After going through many walls of text, I think I've managed to sift out all the pet-related information that was revealed during the MoP Press Tour. Anyway, onto my thoughts on the new information that was unveiled during the Press Tour. 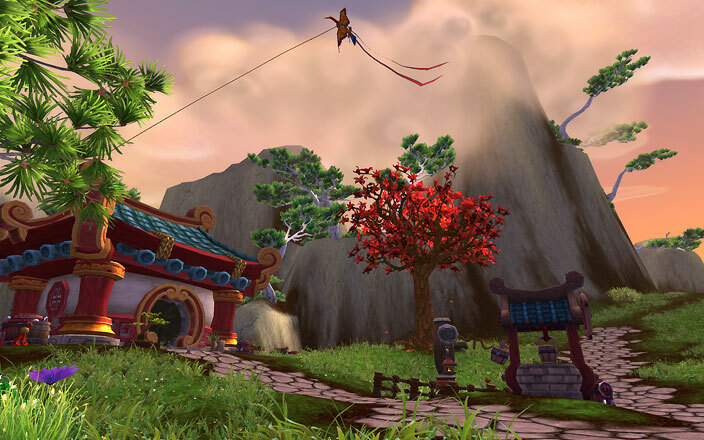 Bashiok wrote up an interesting blog post about MoP not from a developer point of view, but from a player's perspective. In this post he ponders over what he should do (in the Beta I'm assuming) after hitting level cap (lvl 90). - "With the new factions and their currencies I can acquire Craftsman tokens to spend on vanity items like fun toys or pets..."
- "I’m not ashamed to say I’m kind of geeked up over the new Pet Battle system. I wasn’t a very avid pet collector before, but after battling some of my friends (and seeing how much some of the trained pets sell for on the auction house) my interest has definitely skyrocketed." It sounds as if factions will have a Craftsman currency that you can use to purchase faction specific companions, and although it wasn't confirmed or even mentioned during the Press Tour, selling/trading leveled up BoP pets may still be a feature that will be in MoP. Remember that things could change between now and the release of the next expansion, but this is definitely interesting news for pet collectors! To view the full MoP Press Tour information, check out MMO-Champion, Wowhead News, and WoW Insider. Be ready for giant walls of text crits, though! Below I'll be listing the NEW information, as the Press Tour really didn't reveal much that we didn't already know. For a full list of mini-pet updates and Pet Battle news, check out WarcraftPets! - 100+ wild pets to collect in MoP. - Account wide pets confirmed. - Renaming ALL pets confirmed. - Pet Battle stats will NOT show losses, only wins. - While in a Pet Battle, you will NOT be able to see your opponent's name or communicate with them. - Pet Battles smartphone apps is being considered but not high on "to do" list. - Will account wide pets allow all characters access to cross faction pets? - Trading/Selling leveled up BoP pets has yet to be confirmed. - How will collecting a wild pet work? - Will the "100 wild pets" be new or existing companions that have suddenly turned feral? - What will the CE pet be? There are a lot more questions but I expect many of them will be answered once we move into open MoP Beta testing. I'm very eager to test it all out, but for now I guess I'll just have to start brainstorming over 100 names for all of my pets. I have a feeling I'm going to get lazy or tired and wind up naming some of them "Bob 2" and "Flying Bird 4" lol. Edit: One last thing... WTB Mirror Strider pet and Porcupine pet! Tonight the NDA will be lifted and many websites and fansites will reveal lots of MoP-related teasers and news. I'm already watching them like a hawk in hopes of finding some pet-related content! At the very least, I bet we'll see some news on Pet Battles. - Renaming companions: Y/N in MoP? - Account wide: What does it really mean and how will it work? Will it include cross faction pets? - Tradable/AH-able pets: What are the restrictions and limitations (if any)? - Wild pets: How will it work and will it be like archaeology where it's more individualistic or will there be heavy competition like when players find a rarespawn? - New pets to come: Teasers of first time previewed companions, yes please! That's all I can think of off the top of my head. I'm also hoping for the MoP Beta to open up shortly after the information dump. Worst case scenario is that there's no new information on Pet Battles and no pet-related MoP news. But in a situation like that, it just means pet collectors will have to do the research and digging themselves once the MoP Beta opens up. 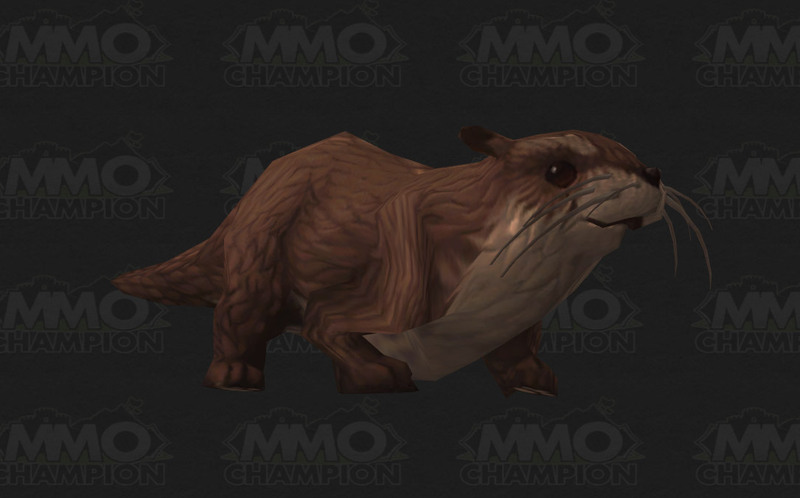 I'm not entirely against that since I love a good hunt for details and info, but it would still be nice if Blizzard offered up some pet tid-bits since mini-pets are getting more and more popular. Anyway, I'm ready to do some detective work and sift through a lot of information. For science pets! Happy Saint Patrick's Day! It's been a busy weekend but I finally set aside some time to sit down, dress up in my appropriately festive green outfit and have a drink with Scooter. Thankfully I've escaped any pinches that may have been coming my way today. :P Scooter's lucky; he's green all the time so he'll never have to worry about that. lol! So two more months and hopefully the Fetish Shaman will be joining the ranks of many a collector's vanity pet army! 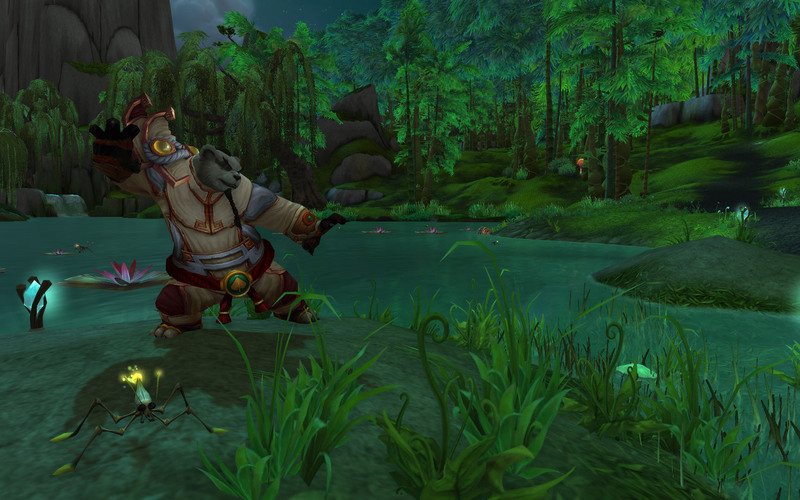 In honor of the MoP information dump coming soon to a web browser near you, MMO-Champion is giving away 3 Pandaren Monk pets each day this week! To enter simply comment on their post ONCE (multiple comments on it will disqualify you). Ability to enter closes Saturday March 17th @ Midnight EST. Since there's no region indicated, I'm guessing it's open to EU as well as US? Anyway, good luck to any who are entering! 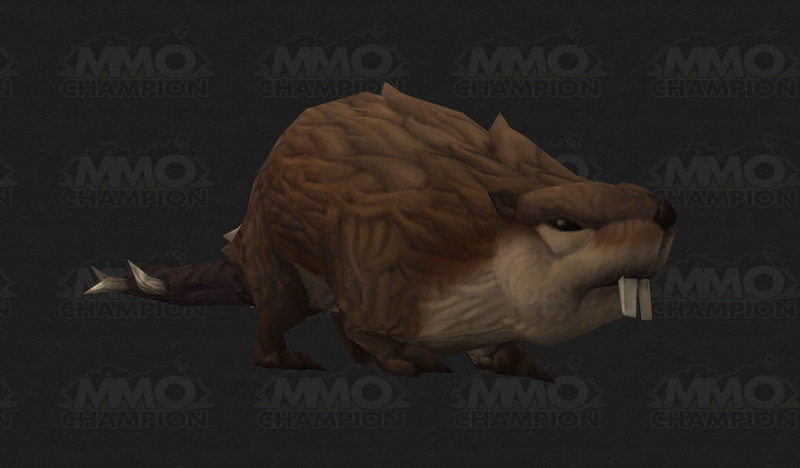 It's been about 4 months since the Guardian Cub was released in the official Blizzard PetStore. This pet was the first of its kind, being a single-use, tradable vanity pet (after a 24 hour CD) that's purchasable for either RL currency or in-game gold. So was the implementation of this type of companion a hit or a miss? Well it's hard to say since I don't have any hard numbers or access to Blizzard's data, but over the span of the past 4 months I've noticed a large decline in not only the number of Guardian Cubs up for sale on the AH but also a decline in price. This leads me to believe that players are buying the cub (with RL money) and keeping it for themselves and/or most don't see much point in investing in them. I don't know what the RL money to gold conversion rate is these days, but back when this pet was first released $10 (the price of the Guardian Cub) could buy you about 7k gold. The pets were going for about 10k originally, but now I rarely see the cub being sold for more than 5k on the AH. We'll see though. 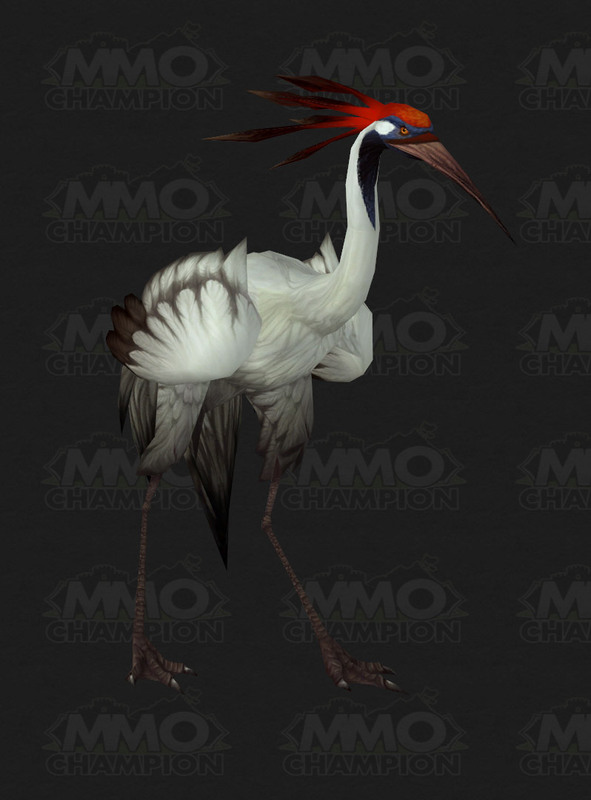 If Blizzard sees the release and sale of this type of pet a success I'm sure we'll see more vanity pets with a similar CD, tradable, single-use features in the future. Many have already started to question whether or not there will be another event for this year's Summer Olympics, but so far there's no sign that there will be any type of holiday or celebration in-game. Two big questions if there is to be an event: What would the reward be (if any) and what would the holiday entail? WarcraftPets polled its community on Twitter last month and many seemed to like the idea of an English-themed puppy pet as the reward. The corgi wind-up toy that was discovered during The Feast of Winter Veil was and still is a popular idea. Since Queen Elizabeth II is fond of and owns several corgis, I'd say this dog would fit this year's Olympic event. I worry that instead of being an actual vanity pet, Blizzard will implement it as is, though (a wind-up toy). But how to reward an olympic-themed vanity pet? In the end I'm not really expecting anything this year, though. Blizzard is pretty busy so I doubt they'll have the time to properly implement a new event that will only be around for a short period of time. And even if they pushed their devs to the limit and set into motion an Olympic themed holiday, I fear it will be rushed and very buggy. I'd much rather they take their time and come up with something solid, concrete, and something that nearly everyone can enjoy. The MoP Beta will hopefully be starting soon! Possibly mid-month? According to MMO-Champion Blizzard's MoP press tour (March 19th) will lift the NDA and afterwards it's likely that the beta will be playable. How soon after is still unknown. I'm really excited to check out Pet Battles and see what new "wild pets" they have so far. I wonder how capturing the wild ones will work. The "account wide" pets thing is also something that I'm going to be checking out. Blizzard mentioned the ability to rename vanity pets, but I have my doubts about that being a priority for developers. I think it would be a fairly nice touch and something that many would enjoy, but if Blizzard's serious about Pet Battles, I can understand that their resources need to go into perfecting that feature first. I expect a lot of bugs and limited access to stuff, but at least we'll get at taste of what's to come. Then I can formulate a more concrete opinion of the future of pet collecting. Hope for the best, prepare for the worst? We'll see. Just hanging out with my Teldrassil Sproutling on a rooftop garden I found in Stormwind. I finally finished this xmog set so we match now! Haha. Darkmoon Faire is here again! This time it will be my last visit to the faire (for now) since I only need the Darkmoon Cub to complete my faire collection. Since March doesn't have any special occasion or holiday for collecting pets, I'm probably going to be taking more screenshots of my pets. :) Hooray for some downtime to simply enjoy these little ones! Oh, but I'm definitely eager to hear what Blizzard has to say about MoP and if there will be any pet-related or Pet Battles news. They're supposed to have their announcement about it sometime this month. Last but not least... maybe they'll also release Soul of the Aspects "soon" too? I'm still hoping!